The UK is currently the EU’s biggest market for plug-in electric cars, with 36,917 registered in 2016, and there are currently 83 different alternatively-fuelled cars and vans available to British buyers. 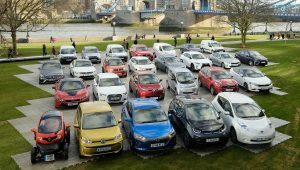 The UK automotive sector demonstrated its commitment to developing the latest low emission vehicles during a special display in London recently. 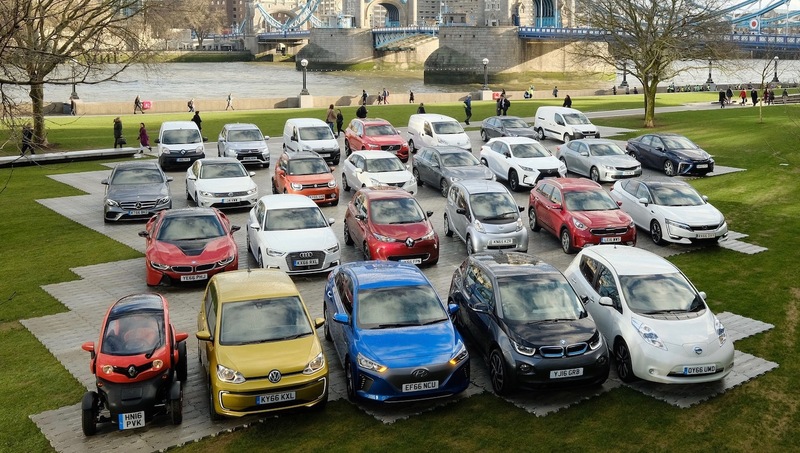 Set against the backdrop of London’s Tower Bridge, 26 vehicles from 16 different brands underlined the diversity and appeal of alternatively fuelled vehicles (AFVs) now on sale across the UK. Alternatively fuelled car registrations have grown more than threefold over the past five years, and in January this year they recorded their highest ever market share at 4.2%. Growth has been rapid but market penetration still remains at a relatively low level considering around 2.7 million new cars were registered last year. According to a new YouGov survey commissioned by SMMT, UK adults would be more likely to buy an electric car for reasons including low running costs (51%), cheap or zero car tax (46%) and purchase incentives such as government’s plug-in car grant (36%). But the survey also found that just 13% of those in the market for a new car said the next vehicle they buy is most likely to be alternatively fuelled. Which one of the following do you think describes the type of fuel the next vehicle you plan to purchase will most likely be powered by? Which, if any, of the following would make you more likely to purchase an electric car? Which, if any, of the following are reasons you would be less likely to consider purchasing an electric vehicle than other types of van/ car? All figures, unless otherwise stated, are from YouGov Plc. Total sample size was 2,100 adults. Fieldwork was undertaken between 17-20 February 2017. The survey was carried out online. The figures have been weighted and are representative of all UK adults (aged 18+).